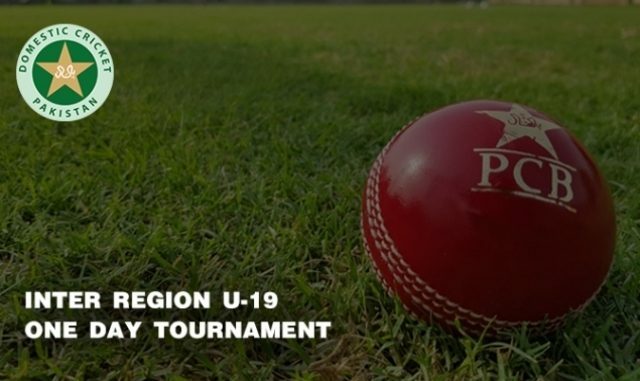 The Karachi Region Blues, Lahore Region Blues, Faisalabad Region and Peshawar Region won their respective matches in the Inter-Region Under-19 One Day Tournament 2018-2019 on Friday. The Karachi Region Blues defeated Sialkot Region by 161 runs. Karachi, batting first, were dismissed for 228 runs in their 50 overs as Ubaid Ullah made 64 runs and Ghazi Nasir contributed 58 runs with the bat. Adnan Haider picked up three wickets for Sialkot while Abdullah Nawaz and Naseem Akram grabbed two wickets. Sialkot were dismissed for 67 runs in 32 overs. Umer Shafiq and Adnan Haider made 13 runs each while Usama Bilal remained not out at 11 runs. Saif Ali took four wickets for Karachi Blues while Ghazi Nasir and Nadir Shah grabbed three wickets. Multan, being sent into bat, were bowled out for 127 in 40.5 overs as Muhammad Basit made 40 runs while Asjar Ashfaq and Azhar Aslam scored 26 and 20 runs respectively for the team. 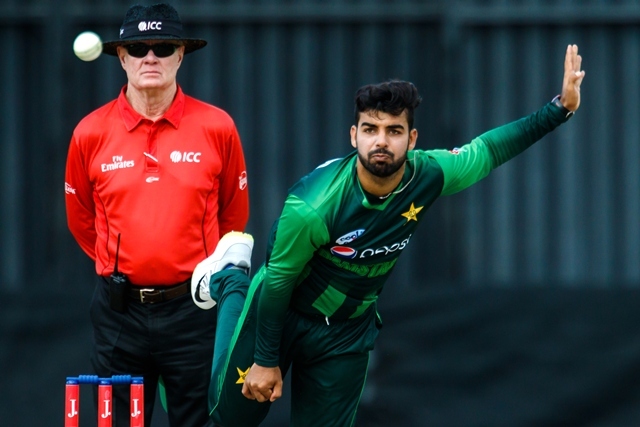 Asad Khan was the pick of the bowlers as he grabbed four wickets while Muhammad Bilal Khan and Muhammad Bilal dismissed one batsman. Lahore chased down the target of 128 runs in 30.4 overs. Uzair Nasir made 32 runs with the help of three boundaries whereas Atayab Ahmed and Syed Taqi Bilgrami scored 27 and 26 runs for the team respectively. Muhammad Jahangir took two wickets while Asjar Ishfaq and Muhammad Uzaifa dismissed one Lahore batsman each. Peshawar Region beat Larkana Region by 140 runs at N.B.P Stadium. Peshawar were dismissed for 231 in 50 overs as Saqib Jamil made 55 runs while Amir Azmat and Muhammad Haris chipped in with 47 and 44 runs for the side. Javed Ali Khoso took six wickets for Larkana while Majid Ali and Kamran Ali grabbed one wicket each as well for the team. Larkana were bowled out for 91 runs in 30.4 overs as Majid Ali was the top scorer for the team with 13 runs while Javed Ahmed made 11 runs for the side. Izhar Ahmed, Niaz Khan and Muhammad Amir picked up two wickets for Peshawar. The Faisalabad Region beat the Karachi Region Whites by six wickets. The Karachi Whites amassed 155/10 in their 50 overs as Sohaib Ahmed was the top scorer with 36 runs while Saim Ayub made 22 runs for the team. Muhammad Bilal Javed grabbed three wickets while Yousaf Khan and Saif Ali ended up taking a wicket each. Faisalabad reached the target of 156 runs in 27 overs as Saif Ali made a half century and Zohaib Amanat contributed 41 runs with the bat.